Marangu Hotel provides a variety of comfortable and affordable single, double and triple rooms in cottage style accommodation. 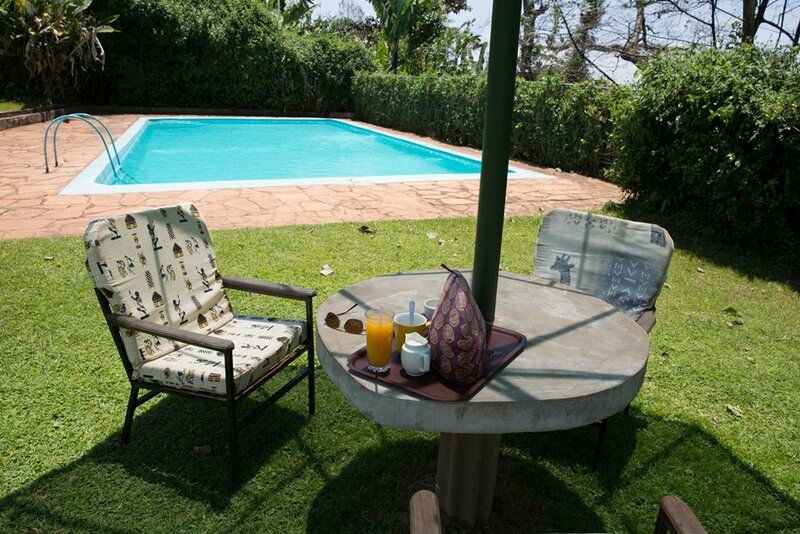 We are also fully equipped with a swimming pool, bar and restaurant. The hotel grounds are also home to a beautiful swimming pool. Guests may have lunch and tea by the pool while spending the afternoon swimming. Guests will enjoy a variety of beer, wine and other beverages from the hotel bar while relaxing in the gardens or spending time in one of the hotel lounges. Fresh juices are also available with seasonal fruits and vegetables. The hotel is renowned for its well-prepared menu, using vegetables from its own gardens and home baked bread. Please click here to inquire about a reservation.